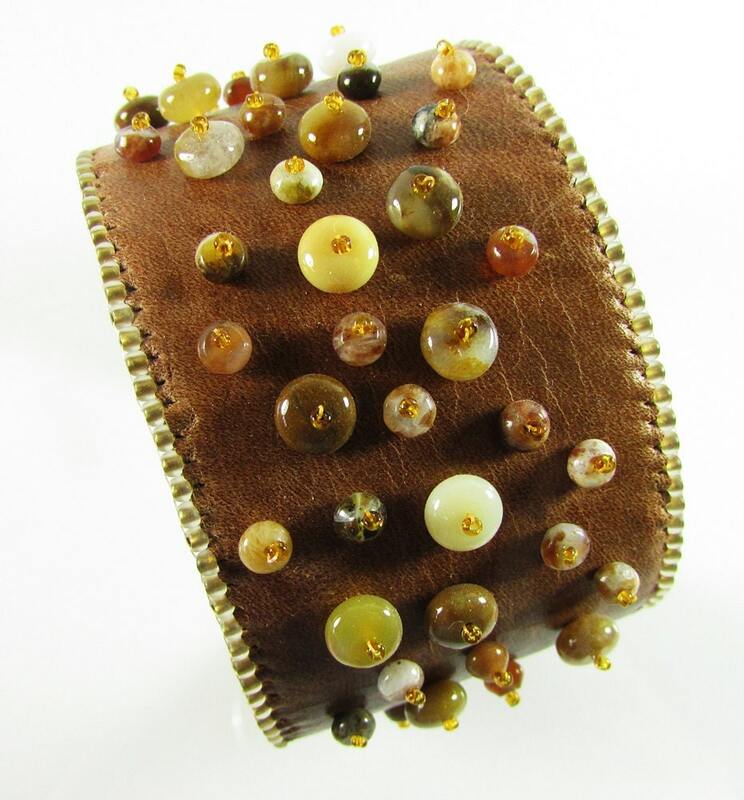 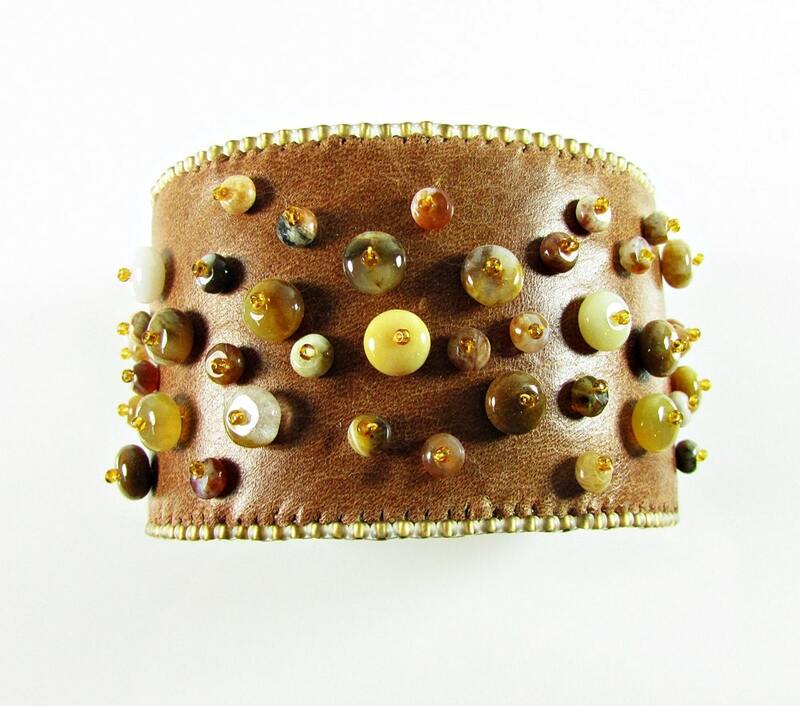 A stunning Genuine Leather Bead Embroidery Cuff with Opal and Mexican Agate gemstones. 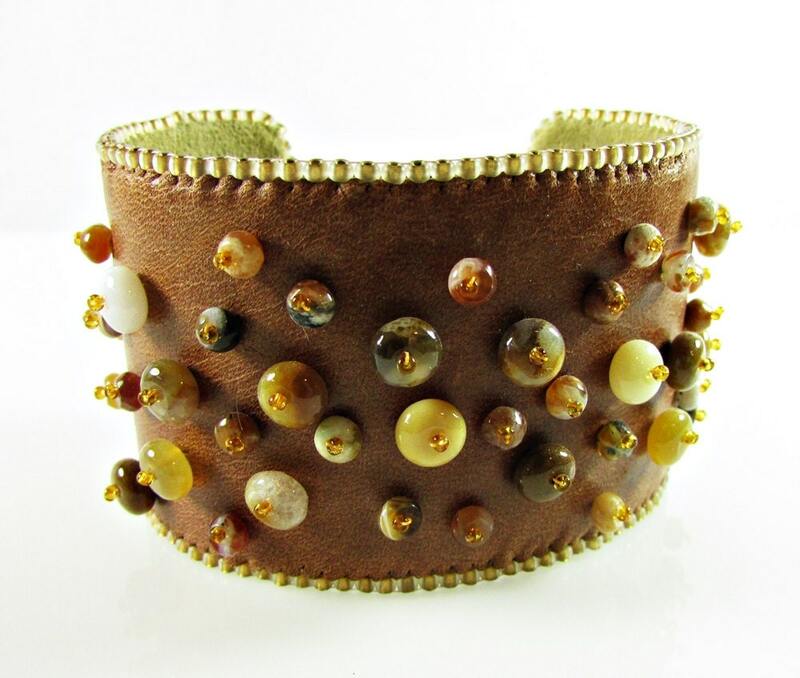 Finished with a perfect trim and taupe ultra suede. 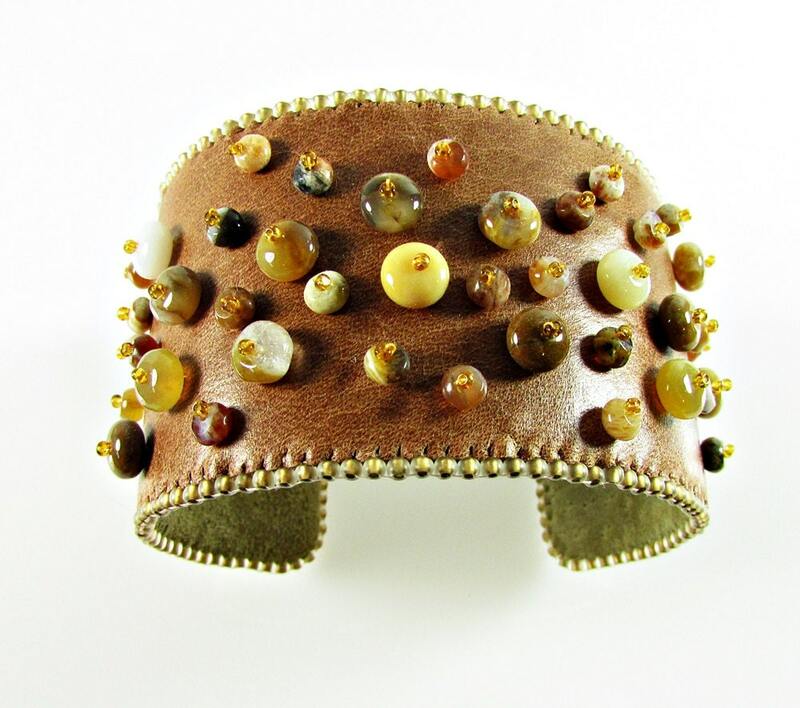 This cuff is 2 inches wide and will wrist from 6 to 7-1/2 inches.